Assisted Mountain Transit to procure and implement an AVL/GPS system that will provide website and mobile apps to its customers on vehicle locations and next bus capability. The system also streamlined its scheduling, dispatching and NTD reporting. Developed the first online application, reporting and database system for ongoing vanpool programs, to meet National Transit Database reporting requirements that generates Federal Transit Administration 5307 funding. 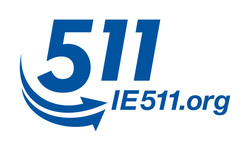 Funded, developed and implemented the Inland Empire 511 (IE511) traveler information program for San Bernardino and Riverside Counties, including a website, a iPhone/Android app and toll free assistance via telephone. Provided $6 million in funding towards the development and construction of the Inland Empire Transportation Management Center (IE TMC), which opened in the spring of 2011. Assisted in the development of the Inland Empire and Southern California Regional ITS Architecture Plan.